Since I became more and more politically active, part of the growth of my political consciousness was an awareness that the media – whether print or electronic – was not always a clear reflection of what really was happening. The first time I became starkly aware of the disconnect between a media story and reality was in 1989, when an associate and I made a submission to a Parliamentary Select Committee on the Classifications Bill. 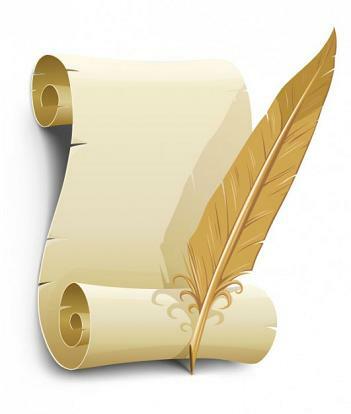 The Bill was aimed at replacing the old, antiquated Censorship Act. There were some aspects of the Bill which we took exception to (from a liberal viewpoint) and we put together a submission, and requested an opportunity for a supporting oral submission. We were due to ‘appear’ near the end of the day, and thus had an interesting opportunity to listen to all the submissions made by various groups, organisations, and individuals. Submitters ranged from the Nurses Organisation; Film Directors Association, NZ Law Society, etc. I took note of the tenor of each submitter, and it was roughly 50/50 toward strengthening the proposed Classifications Act or liberalising it. The following morning, the Dominion featured two stories on two submitters – both from the “pro-censorship” camp. A critical submission from the NZ Law Society, regarding an aspect of the Bill which they deemed to be fatally flawed, was not reported. Neither did the Dominion report an astounding comment by then-MP, Trevor Rogers, who threatened to “change officials of the Courts” who could not, would not, implement the new law, whether flawed or not. Had I not attended the Select Committee hearing personally, I would have assumed that all submissions were of a similar nature; would not have been aware of opposing views; would have been unaware of the Law Society’s views; and been oblivious to a Member of Parliament threatening to interfere with the judicial system of this country. After 25 years, the incident remains vividly clear in my memory. That was my very first lesson – not just in Select Committees – but media (mis-)reporting. Since I began this blogging lark in July 2011, I have found no reason to lessen my wariness of media reporting, accuracy, and fairness. In fact, sadly, quite the opposite. So begins this analysis of a recent Fairfax-Ipsos Poll which, upon closer scrutiny, is a fantasy lifted straight from the pages of Brothers Grimm. A very recent Ipsos poll was taken over a five day period, starting from Saturday, 30 August – the day of Judith Collins’ resignation from her ministerial portfolios (though not from Parliament itself). 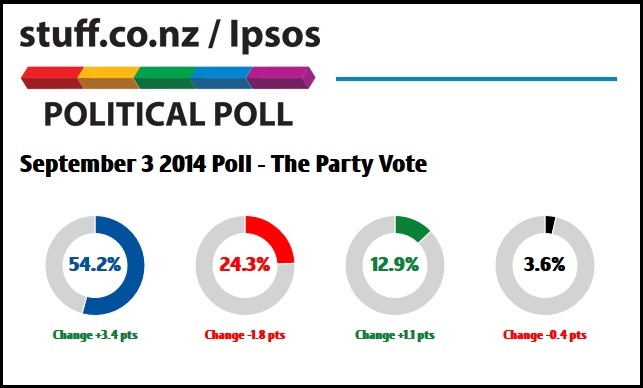 The infographic shows National at 54% and the Labour-Green bloc at 38%. The above poll infographic was taken from a Research International poll, commissioned also by Fairfax Media – and released on 23 November, 2011 – three days before the General Election, three years ago. Compare the two polls above. Two “different” polls. Two different polling companies. Three years apart. Almost exactly same figures. In the 2011 poll, Fairfax’s polling agent over-estimated National’s support by a staggering 6.69 percentage points – well outside the stated margin of error by Research International (3.1%). Considering that other mainstream polling companies have National ranging from 45% (Roy Morgan) to 46.4% (NZ Herald-Digipoll and TV3 News) to 50% (TVNZ News), it could be safely argued that the Fairfax-Ipsos results are in Wacky-Doodle Land. That statement is buried near the bottom of Vernon Small’s article, “National soars without Collins – poll“. Benson said if Ipsos included those who said they were undecided, but when pressed were leaning towards a particular party, that number dropped to about 7 per cent and saw National’s vote come in about 2 percentage points lower. Anything else we need to know, Vernon?! Two weeks out from the election National’s popularity has soared after the dumping of justice minister Judith Collins, putting John Key on course for a thumping victory on the evidence of a new Stuff.co.nz/Ipsos poll. Assuming all the small parties hold their current seats, but independent Brendan Horan is not returned, National would have a dominant 70 seat bloc in a 125 seat Parliament. He said the rise may have been caused by wavering voters, uncomfortable with Collins, swinging in behind Key for finally taking action against her. In no way could this poll and associated story be considered critical political analysis or news in the traditional sense. The criticism of Fairfax must have been excoriating! Firstly, Ipsos is paid by Fairfax to conduct it’s polling. Therefore, Fairfax has an inherent, undeclared financial interest in the source of “story”. Fairfax is not reporting on a story from the point of view of an impartial, disinterested party. They have a vested, commercial stake in promoting Ipsos’ findings. 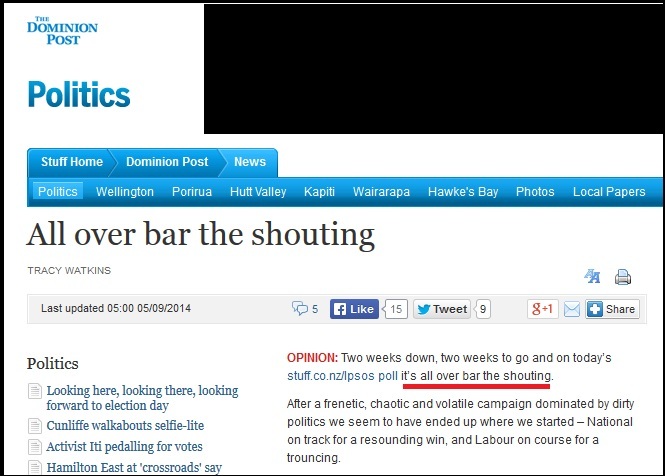 As such Fairfax would be as critical of Ipsos as the Editor of the Dominion Post would commission an investigative piece on sub-editors being made redundant from his own newspaper (the redundancies happened – the story reporting the event never materialised). In fairness, it should be pointed out that Fairfax is by no means unique in this obvious conflict of interest. The NZ Herald, TVNZ, and TV3 all have their own contracted pollsters. None of them will question the accuracy of their respective polling agents. Secondly, because Fairfax (and other media) have a vested interest with their respective pollsters, they are locked in to using that sole company as a source for polling “news”. Hence, each media outlet’s authoritative reputation rests on pushing up the credibility of their respective polls. They must not question their own polling for fear of damaging their reputation for “authoritative political analysis”. Regardless if their own polling is hopelessly implausible, it must be presented as factual and inarguably credible. Even if it is clearly not. – and is well worth keeping an eye on. Off the main pollsters, the most accurate one to keep an eye on is Roy Morgan, as it alone calls respondents on cellphones. All others rely solely on landlines to contact respondents. I was stunned when I read that comment. 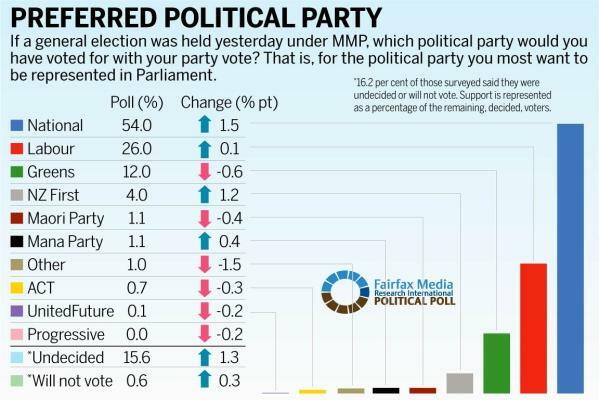 In effect, Watkins has elevated Fairfax’s 3 September public opinion poll to supplant the up-coming general election and accept a National Party victory based on Ipsos’ findings. “Their political coverage is partisan, anti-opposition, anti-democratic, and their spin consistently comes from the exact same angle that the National Party are taking via Crosby Textor. “Political editor Tracy Watkins is clearly enamored with the Prime Minister and unprofessionally close to him. After several international trips with John Key and a substantial back catalogue of journalese ‘love letters’ to him, she really has zero credibility as an objective reporter. If true, and the Fourth Estate has become a mouth-piece for The Political Establishment, it may explain why people are turning away from the mainstream media as well as politics. The previous general election had the lowest voter turn-out since 1887 – no feat to be proud of, and seemingly indicative of a growing malaise of alienation, apathy, and disconnection from our heretofore strong civic pride. It simply beggars belief that a journalist such as Ms Watkins with many years experience could publish such an off-hand comment that effectively undermines current efforts by the Electoral Commission, trade unions, political parties, et al, to encourage people to enroll and to vote. “In command“? 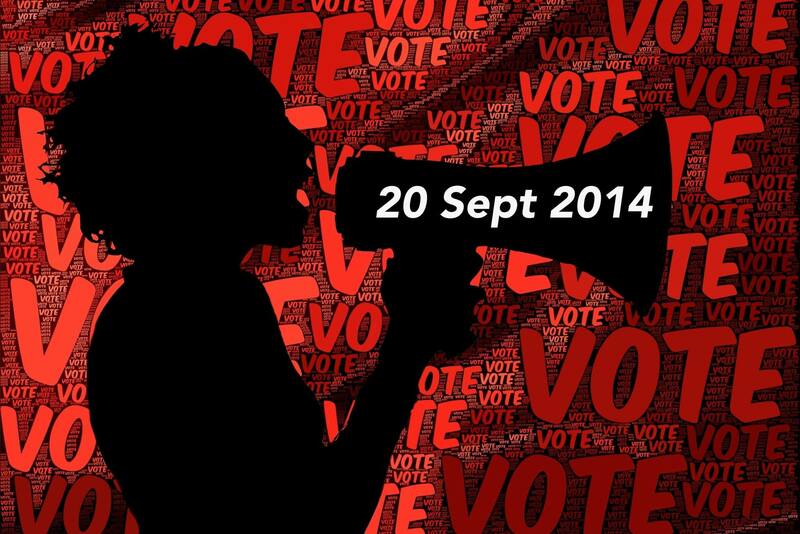 Was the election held on 5 September?! Did I miss it? 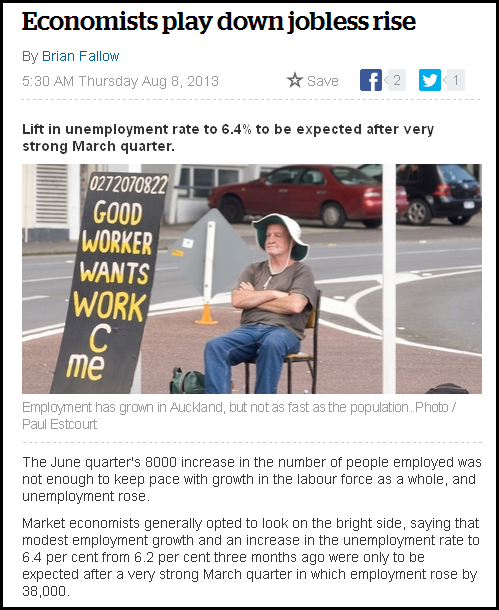 Note also the hidden subtext of an image of the PM, John Key, twice the size of his opponant, David Cunliffe. Note the victorious look on Key’s face – and the open-mouth “petulance” of ‘disappointment’ on Cunliffe’s. The impression is clear; Key has “won” the election. 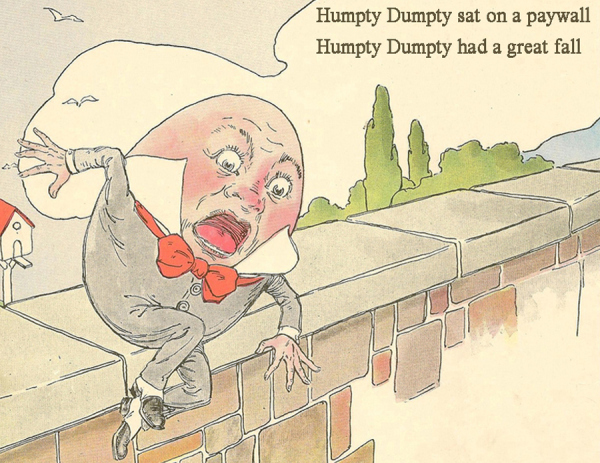 Cunliffe’s annoyance validates Key’s trimphant expression. This is not reporting the news – it is manufacturing it. I see nothing to disabuse me of the notion I began to develop in 1989, that a healthy dose of skepticism is required when presented with information from a media source. Their agenda is no longer to present news. Their agenda is to manufacture it; embellish it; use it to sell advertising; and to further political goals. How else does one explain naked propaganda-masquerading-as-“news”? Because looking at the full-blown story on the front page, I can see no other interpretation than the conclusion I have arrived at. 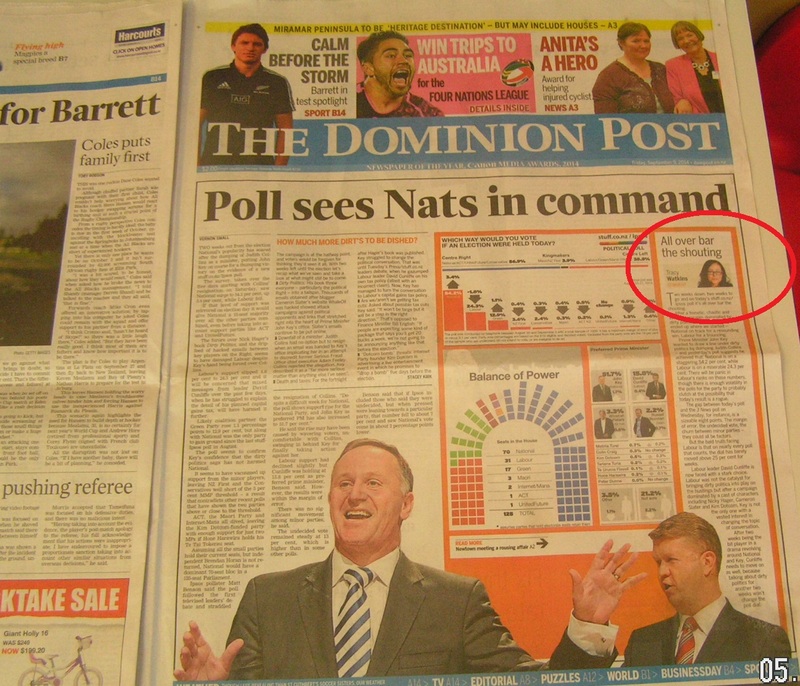 According to the Dominion Post, the election is done and dusted and the Nats are “in command”. 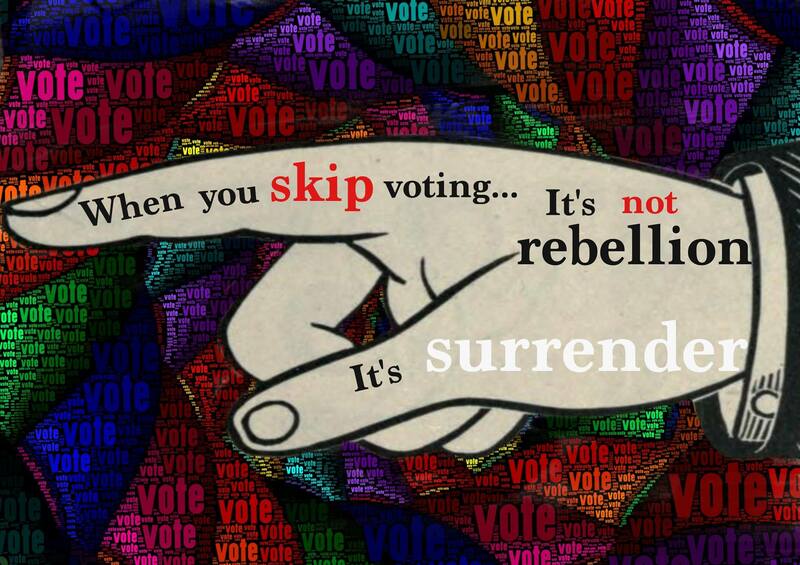 So don’t bother voting. It’s all over. 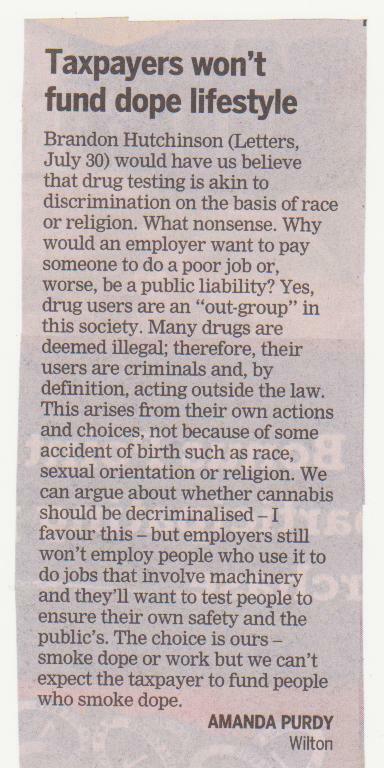 Since when have those who’ve been made redundant since 2008 become ‘druggies’? This is what she is suggesting with the blanket statement, “smoke dope or work but we can’t expect the taxpayer to fund people who smoke dope”. Is she suggesting that those laid off from Summit Wool Spinners, Southern Institute of Technology, Geon Group, Ellerslie TAB, Department of Conservation, Telecom, Park Road Post, Fonterra, Fisher Funds, Ministry of Justice, NZ Post, Solid Energy, Delta Utility Services, Canterbury Spinners, WINZ, Holcim Cement, Oringi Freezingworks, Tiwai Smelter, etc, etc – have all suddenly acquired a taste for cannabis? These people are not dope-heads. They are all Ms Purdy’s fellow New Zealanders – victims of a global financial crisis they had no hand in making, and which is still making it’s effects felt throughout our society and economy. If Ms Purdy is concerned about workplace safety – as is the CTU – then drug test everyone. No exceptions. That includes politicians and letter writers like Ms Purdy and myself. Otherwise she is simply repeating, ad nauseum, National’s desperate bene-bashing distractions, to avoid responsibility for rising unemployment. Another 5,000 drug-users according to people like Ms Purdy? Nice to see the MSM finally catching up with the blogosphere. This was nothing less than a barefaced lie, designed to deceive the public. 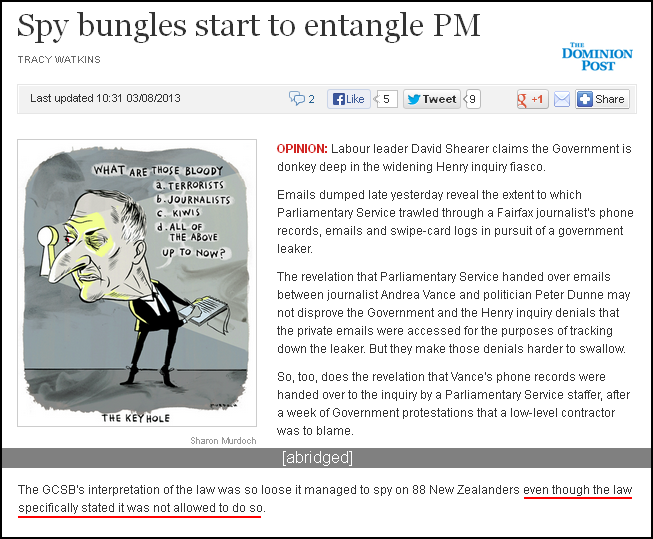 For a long time, the mainstream media parroted this fiction (see: The GCSB law – Oh FFS!!! ). Evidently no one in newsrooms had bothered to do a simple check. So it’s refreshing that Tracy Watkins, writing for the Dominion Post on 3 August, has also got it right. Now all that remains is for a journo to actually ask Key why he bullshitted us in the first place. Andrea – time for utu. 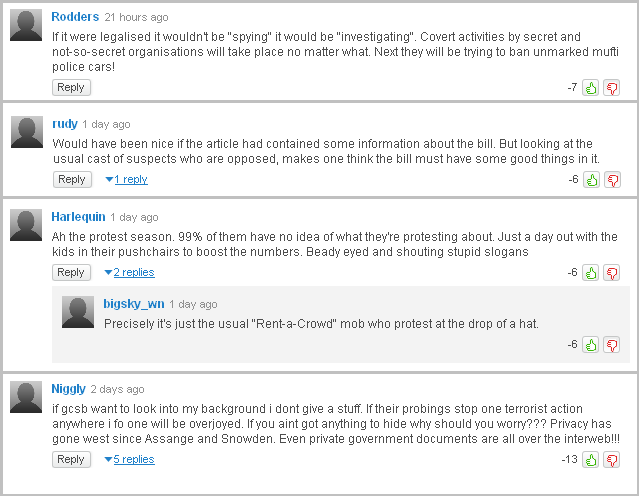 But there are a few, as evidenced by a handful of comments on various fora, who seem to be “relaxed” with the growth of the Surveillance State. They seem to be unconcerned that state apparatus can violate our privacy at will, without just cause, and with minimal checks and balances. “If you aint got anything to hide why should you worry?? ?” – says “Niggly”. Which is an interesting statement to make since all five supporters of the GCSB Bill (including “Niggly”) are using pseudonyms. What have they got to hide, I wonder? 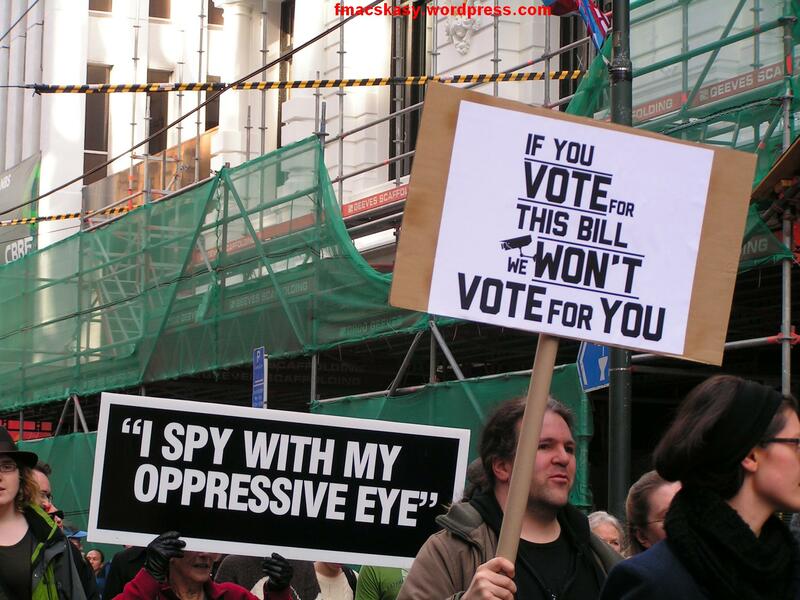 It seems fairly clear that supporters of the GCSB Bill are not so keen to abandon their privacy after all. Or, perhaps, being National Party supporters, they believe that Dear Leader Key will be Prime Minister forever, and “their man” would never spy on his loyal supporters. The word deluded springs to mind. This blogpost was first published on The Daily Blog on 30 July 2013. If you aint got anything to hide why should you worry??? NZ, Wellington, 25 May – Journalists and other staff working for Fairfax media, were told last week of a review that the company was carrying out. Management told staff that times are tough; advertising revenue was down; and that job losses had not been ruled out. Incredulous staff were told that there would have to be a reshuffle to make things work and that their would be job losses. Staff were given no further details. Acting general manager Andrew Boyle says there are potential job cuts across the entire company, from advertising to editorial. He’s unable to say how many of Fairfax NZ’s roughly 1800 staff will be affected by the restructuring, as the company is still in early consultation with its business departments. However, he does expect it to be wide reaching including editorial, sales and operational roles. 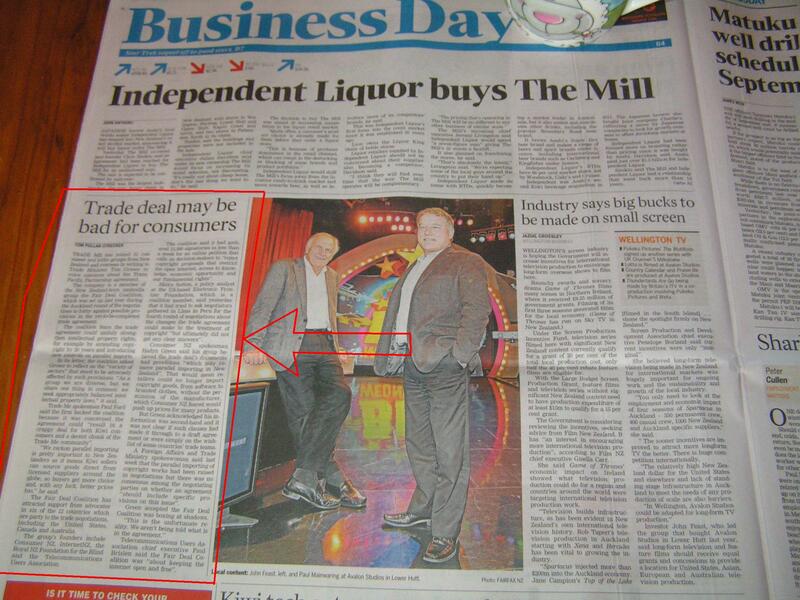 Pre-press (ad placing) and a contact centre run by Fairfax are also in the scope, he adds. Unfortunately, if past trends with the Dominion Post, Evening Post, and The Dominion are any indication, Mr Boyle’s optimism is not confirmed by past experience. Since 1983, newspapers in Wellington have gone through radical changes in both style; the number of titles available – and page-count. Whilst prices have risen, the number of pages has dropped. Generally speaking, as the price of newspapers has risen, the page count has dropped, and the number of news stories on the front page has also reduced in number. Content within newspapers has most likely also reduced. According to one source, whilst readership levels remain fairly positive, advertising revenue has also dropped by at least 40% in the last financial year alone. Staffing levels have also been slashed. 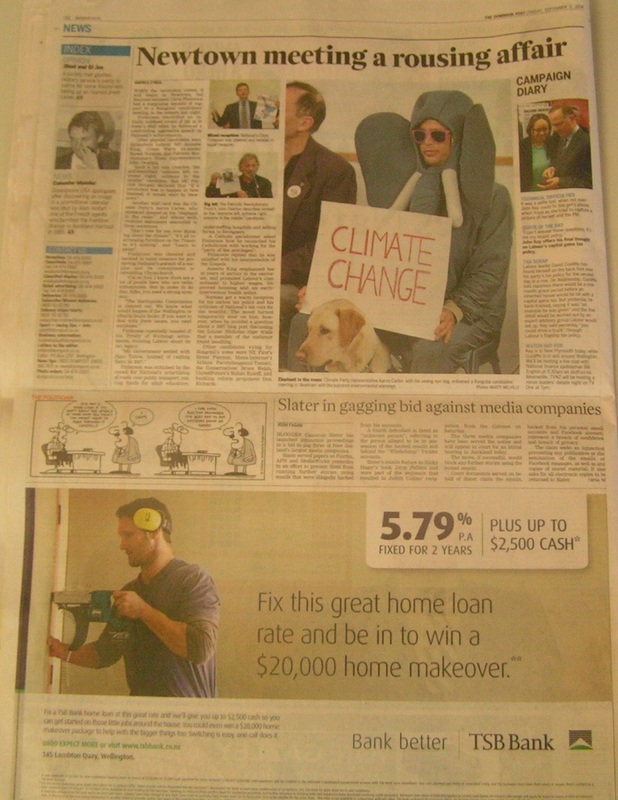 Three years ago, about a hundred sub-editors were made redundant – a process that began in 2008, but received very little media coverage (see: Fairfax says 100 further jobs to be cut in NZ ). Those who were kept on were reassigned to “hubs” that Fairfax set up to supply a centralised news service to service its various metropolitan dailies. Only Fairfax’s on-line staffing levels – those who maintain the Stuff.co.nz website – have shown an increase in numbers, as the company diverted more resources to it’s web presence. Financially, APN’s NZ Herald is in an even worse financial state. So much so that APN has not found any willing buyers for the ailing newspaper and remains on the market to this day. Both Fairfax and APN are actively considering the pay-wall model – but are afraid to make the first move, lest the other hold off, and readers flock to a free web-version of their competitor. An additional problem is that there are plenty of other on-line sources of free msm news; Radio NZ, Radiolive, NewstalkZB, TV3, TVNZ, etc. On-line readers may simply desert Fairfax and APN to where free material can be accessed. There are already three pay-to-view publications in New Zealand; the Listener, Whakatane Beacon, and the Ashburton Guardian. That may work well in a town or small city, but in larger cities people have recourse to alternative sources of news. In fact, this blogger questions whether a pay-wall will turn around the fortunes of these large media chains when the problem is not with the readership – but with the content of their publications. As the numbers above show (with one exception), the page count has dropped dramatically since 1983. It’s not possible to offer a similar service to readers even as page numbers drop – and advertising clients still have their advertisements crammed into fewer remaining pages. Something has to give, and it has unfortunately been the quality of news presented. To give an example; in the mid 1990s, the Evening Post alone assigned two reporters to covering Wellington City Council issues. A third reporter was assigned part time. The Dominion most likely also had their own reporters covering Council issues. 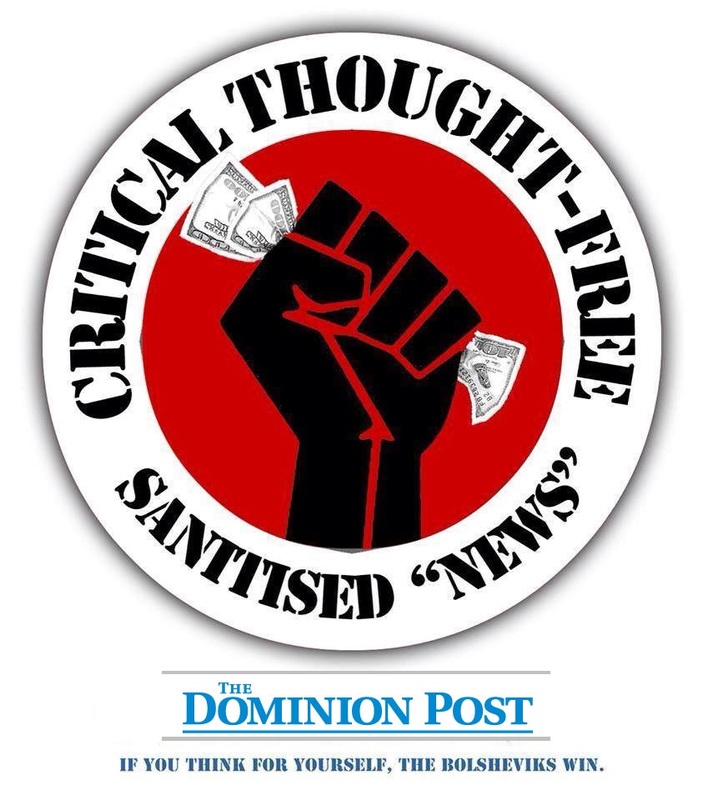 This blogger has learned that the Dominion Post – an amalgamation of the former Evening Post and The Dominion – has assigned just one reporter to cover Council business. How is that geared toward improving coverage of City Council issues? Putting Fairfax’s Stuff (a god-awful name, by the way) website behind a pay-wall simply presents the same reduced news service, with a price-tag attached. This is not a clever business model. Especially when the “consumer” has free alternatives to choose from. If Fairfax (and APN) are finding that revenue from advertising is falling, perhaps it is appropriate for management to re-visit their business strategy. Their model may be wrong when they treat print advertising separate from their online service. Perhaps if Fairfax and APN proprietors treated both print and online media as a combined service, their clients may think more favourably about using it. Shoe retailers are masters at presenting a good deal for shoppers. The last thirty years have shown that reducing the quality of media publications has proven disastrous in terms of building readership and a strong advertising base. Trying to ‘sting’ readers for using an on-line service harks back to the old “cost-plus” business mentality. That didn’t work out well either. If Fairfax and APN want to grow their revenue then they need to get a lot more clever than simply putting their hands out and expecting readers to ‘cough up’. They will be mightily disappointed. There is good reason why this blogger ceased buying newspapers ten years ago. I have a reasonably good memory that harks back to fine journalists like Lidia Zatorski who use to cover the Wellington City Council brief. If the mayor so much as sneezed – Ms Zatorski and her colleagues knew about it. 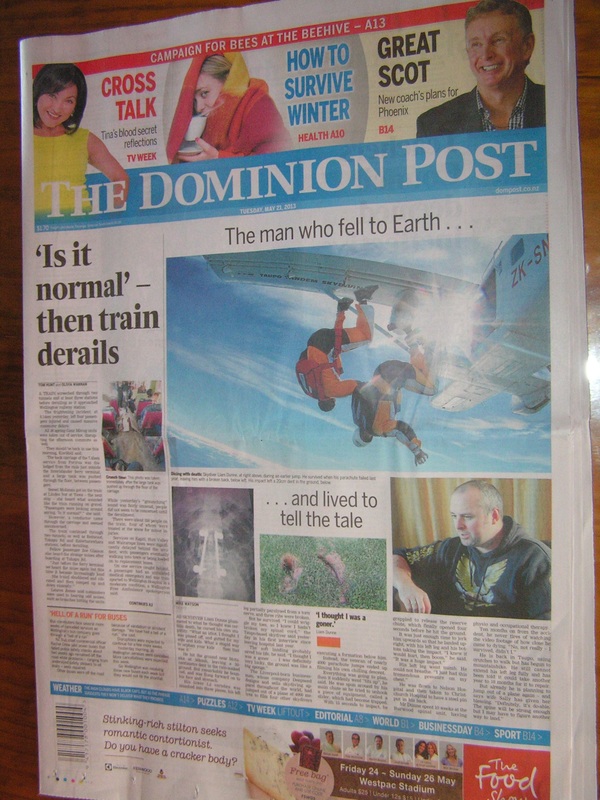 The Dominion Post is a pale shadow of it’s predecessors. My current short-term subscription of the Dompost confirms to me that nothing much has changed for the better (and said subscription will shortly be cancelled). Quite simply, the Dompost is hardly worth the paper it’s written on. As a customer, this is how I see it. And really, isn’t the customer always right? Good luck on the pay-wall. I’ll be on the other side. This blogpost was first published on The Daily Blog on 27 May 2013.